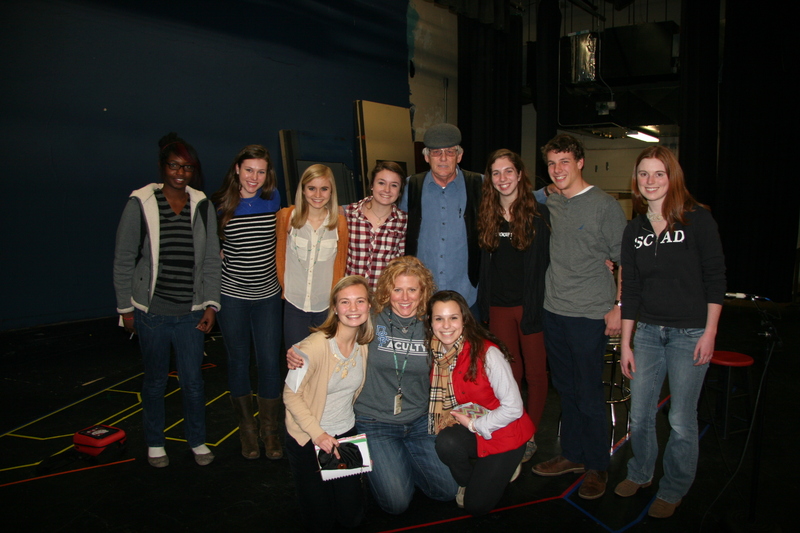 As part of singer/songwriter/master storyteller Jim Avett‘s collaboration with JAMinc, he spent time before his evening performance visiting two Richmond schools – Maggie Walker Govenor’s School and Douglas Freeman High School. During his time with the students, Jim shared his stories and songs, and offered them encouragement rooted in reality. He “encouraged them to be the best they can be,” not only in music, but also in life. This “just do your best” theme is pervasive in any music from the Avett family, indicating a firm belief that each of us has a purpose in life, and doing our best is always enough to make an impact. 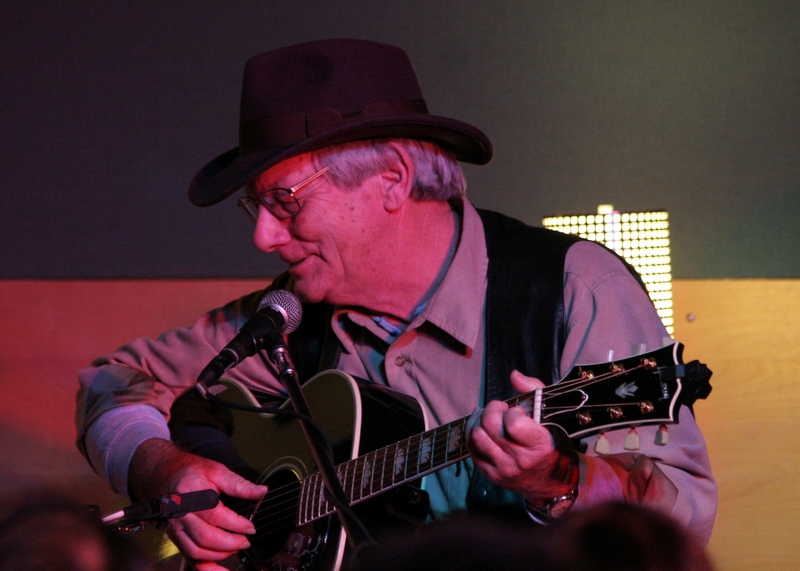 To launch their 2013 concert series, JAMinc brought in singer/songwriter/master storyteller Jim Avett from Concord, NC to perform for a sold-out crowd at In Your Ear Recording Studio in Richmond, VA this past Friday night. As a part of his collaboration with JAMinc., Jim spent time before his evening performance visiting two Richmond schools–Maggie Walker Govenor’s School and Douglas Freeman High School. This push to get talented musicians into Richmond area schools is part of the core mission at JAMinc. Over the past decade, they have successfully reached over 47,000 K-12 students in the Richmond area. Later that evening, music lovers gathered in the listening room at In Your Ear Recording Studio for Jim’s show. Many of those present had never seen Jim perform live, but were eager and excited to hear the music of the Avett family patriarch. Little did they know, they were not only about to hear a gifted singer/songwriter, but also one of the best storytellers this side of the Mason-Dixon line. Unlike the crowd, I have had the pleasure of seeing Jim Avett perform several times. While no two shows are alike, I have heard most of his stories a time or two. Though he is always quick to apologize for his redundancy, it is in his redundancy that lessons are reinforced and new connections to music are created. Therefore, it’s not surprising to still find myself completely engaged and entertained when he dives into one of his old trusty tales about getting his first guitar, the art of picking, or his admiration for great songwriters like Tom T. Hall. Somehow Jim’s stories never wear thin. They never get old. Perhaps it’s his lighthearted country charm and down-home humility, or the simple wisdom and appreciation for what is true that keeps listeners like myself coming back for another helping of Jim Avett. Flanked by lead guitarist Ray Morton and fiddlers Ali and Justine Parker, Jim took the stage in his trademark cowboy hat and black leather vest, and did what he does best–took listeners on a musical journey through his life. During the first half of the show, Jim wove childhood stories in with the songs that have shaped him into the musician he is today. His set list was thoughtful–deliberately complimenting tales about growing up in the foothills of NC, learning his first guitar chord progressions, and stealing history lessons from Johnny Horton songs. He delighted the captivated audience with classics like, All I Have to do is Dream, Wreck of the Old ’97, Sink the Bismarck, Keep on the Sunny Side, (Old Dogs, Children and) Watermelon Wine, and Hey Good Lookin’. After a short intermission, Jim, Ray and Ali returned to the stage to play original tunes from Jim’s most recent albums “Tribes” and “Second Chance”–and you better believe that the stories continued as well. As Jim explained the details behind each songs, it was evident that he not only writes from personal experiences, but also through a keen observation of others, which he displayed in songs like Willard and Decisions. Through his tough facade, hardened by a lifetime of honest and dirty work, a sweet and candid family man emerged as he spoke fondly of his his wife Susie and their three children. With ease, he admitted his propensity for writing love songs, before transitioning into some of his favorites including Leaving Knoxville, Through the Passing Years, Tribes, and Saying Goodbye. Jim also treated the audience to a new song called, World Goes Round and Round–a heartfelt story of a grandaddy walking along a wooded path with his granddaughter and offering up a lifetime of advice. With his first performance in Richmond, VA on the books, Jim proved, once again, that he is a master of lyrical imagery. With his stories and songs, he painted a picture of a simpler, fonder time that many of us long for, as we forge ahead into the tech-savvy, hustle-bustle world in which we live. In a city so defined by its history, Jim Avett has gifted Richmond with his own little piece of the past–a kind reminder that sometimes we must look back through the history of music to allow ourselves to evolve and move forward in our own story and song.